6:30pm - 8:30pm. Click here for a flyer. 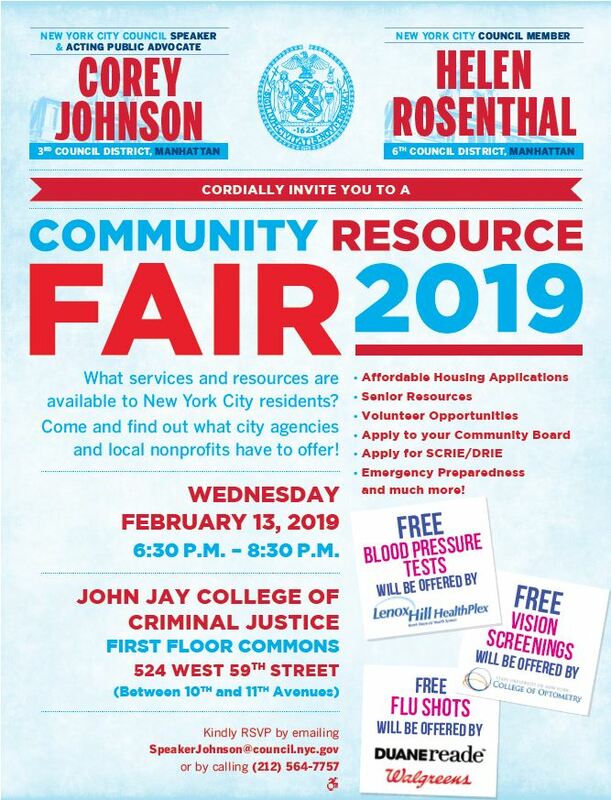 There will be free blood pressure tests offered by Lenox Hill HealthPlex, free flu shots offered by Duane Reade/Walgreens, free vision exams offered by the SUNY College of Optometry, and much more! Click here to RSVP for the event.